Cancer treatment can be an extremely costly undertaking. Even with insurance, the cost of your co-pay and deductible can sometimes be enormous, putting stress on your finances as well as your health. From doctor visits to lab tests to prescription drugs, the out-of-pocket expenses can mount up quickly. And that doesn't even include hospital and surgical cost that is sometimes needed. Now add to that the non-medical expense of transportation, home assistance, and child care, and the bill gets even bigger. Before you get discouraged, trust that there are a number of options that can ease your financial burden. Some offer direct payment for portions of your care while others assist you in overcoming insurance problems with greater ease. If faced with financial worries as a result of your cancer treatment, consider four simple tips that can help. As an insured member, you have the right to appeal any service or treatment your insurance company has denied. While the appeal process can be lengthy and emotionally draining, it can also be well worth it. The process will involve writing letters and make calls to the insurance company while gathering information from doctors and other health professional to better motivate for treatment. Since appeals are approved on a case-by-case basis, it’s often best to work with a patient advocate who can help navigate the process. Many hospitals and cancer clinics have professionals on staff who can help or at the very least refer you to a qualified advocate in your area. Another great resource is the Patient Advocate Foundation, a non-profit agency that provides professional case management services. They are great at offering advice and tips on how to fight an insurance denial even if your policy clearly states limitations to coverage. Most pharmaceutical companies have patient assistance programs (PAPs) that will provide medications, free-of-charge, to qualified individuals. The eligibility criteria are not always based on income, so don't assume that you’re ineligible because you have a job. PAPs were created both for people without insurance and for those with insurance who are simply unable to pay for their drugs. PAP enrollment usually requires a one or two application with additional paperwork to be completed by your doctor. Your oncologist's office will most likely be aware of the relevant PAPs and can assist you with enrollment if needed. Even if income excludes you, the same companies usually offer copay assistance programs (CAPs) to cover out-of-pocket drug expenses. In many cases, eligibility is based on having an annual income of less than 500 percent of the Federal Poverty Limit (FPL). That means that a couple making around $80,000 per year may still be eligible. Annual caps usually apply, but the savings can easily add up to thousands of dollars. Medication for cancer treatment doesn't start and stop with chemo. Multiple drugs are often prescribed during the course of treatment, and these can add up quickly. If a prescribed medication is not on your insurance company's drug formulary, see if your doctor can prescribe an acceptable generic or substitute. These are usually cheaper than the brand name options and can make a huge difference in the cost of care. Additionally, speak with your provider if you’re being prescribed any combination tablets. Called fixed-dose combinations (FDCs), these all-in-one pills are usually more expensive than their individual drug components. If you don’t mind taking three pills instead of one, this may be an effective way to trim costs. If paying for nonchemotherapy drugs out of your own pocket, it's prudent to compare prices at different pharmacies. There is often a huge difference in costs from one drugstore to the next. Simply call the pharmacy and tell them what drug you want, including the dosage and quantity, and do the same with other pharmacies in your area. It is common for customers to request price checks, so don't feel uncomfortable doing so. You may also be able to perform online price checks through your insurance company's website. Many today offer you the tools to do instant price checks among different pharmacies and mail order services in their network. In the course of your search, you may find yourself tempted to use online pharmacies that boast unbelievable prices for brand-name prescription drugs. If it sounds too good to be true, then remind yourself that it probably is. Many online pharmacies are based in countries that don’t adhere to strict FDA regulations. 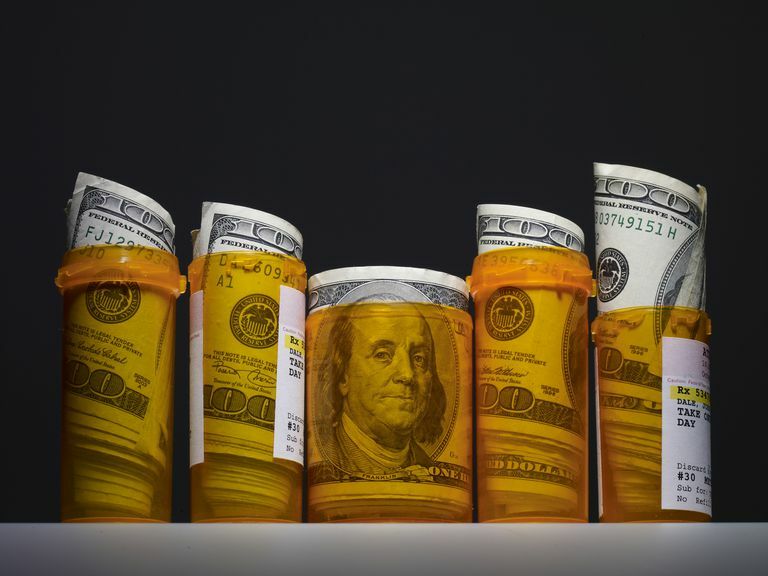 If buying from them, you not only risk getting a "bootleg" version of a drug, you may be committing a crime by illegally importing medications into the U.S.
Gao, L.; Joseph, J.; Santoro-Levy, M.; Multz, A.; and Gotlieb, V. "Utilization of Pharmaceutical Patient and Prescription Assistance Programs via a Pharmacy Department Patient Assistance Program for Indigent Cancer Patients ." Hospital Pharmacy. 2016; 51(7):572-576. Should You Avoid Phthalates to Reduce Cancer Risk? Will Tropical Rainforest Yield a New Cancer Med? How Can I Find Financial Assistance If I'm Diagnosed With Cancer? Is There a Smarter Way to Diagnose Prostate Cancer? What Are the Different Ways to Treat Cancer?